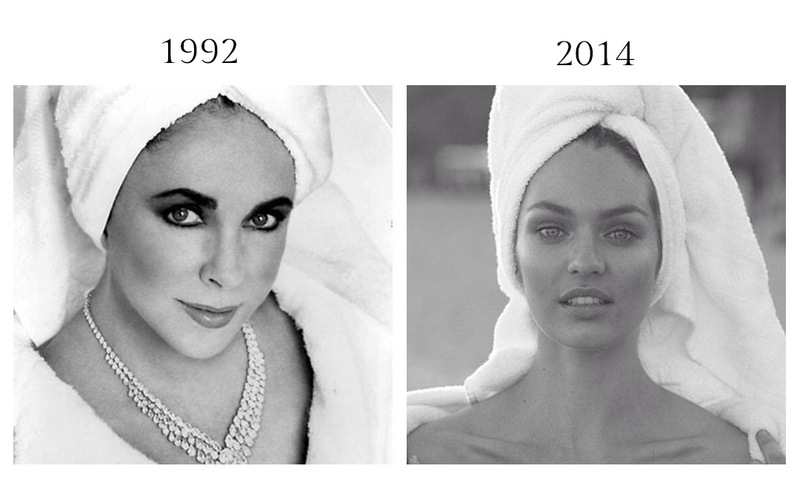 Mario Testino has taken to posting a series of instagrams aptly named and hash-tagged #towelseries. Testino has snapping behind-the-scenes photos of his subjects on set, including the likes of Kate Moss, Miranda Kerr and Candice Swanepoel, casual in terrycloth robes and towel-turbans. 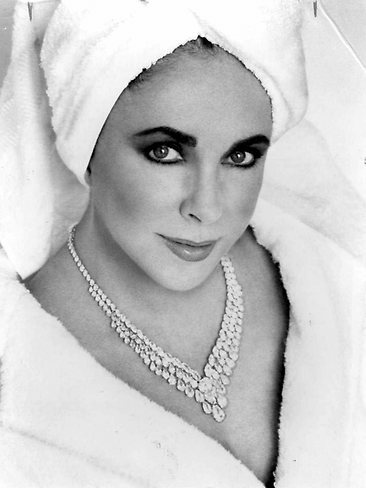 To promote Taylor’s signature White Diamonds fragrance, Ritts would photograph the violet-eyed star in a terrycloth robe and head-wrap — and of course, white diamonds for the 1992 fragrance campaign.